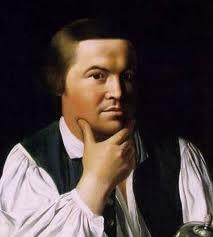 Paul Revere (1734-1818) was a Boston artisan who became a prominent revolutionary and member of the Sons of Liberty. Born in Boston, Revere was apprenticed to his father, a local silversmith and engraver. He took over his father’s business on his 21st birthday, then later served briefly with the Massachusetts militia during the French and Indian War. Like many other Boston businessmen, Revere was opposed to the Stamp Act and British revenue policies of 1764-65. He became an important street-level revolutionary leader, attending clandestine meetings and producing cartoons, engravings and other objects laden with anti-British slogans or themes. Revere’s political activities intensified during the arrival of British troops in Boston. Many know Revere best for his provocative engraving The Bloody Massacre perpetrated in King Street, which depicted the Boston Massacre (March 1770) as a deliberate and coordinated attack. The content of Revere’s engraving was in fact plagiarised from an earlier work, as were many of Revere’s anti-British pieces. Revere was later instrumental in the Committees of Safety, which monitored and reported on British military in Boston. 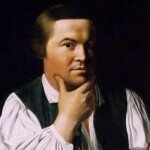 Revere has been feted as a revolutionary hero for his 1775 ride to warn of British troops approaching Lexington and Concord – but the importance of Revere’s ride, as well as his personal contribution to the revolution, have been greatly exaggerated in popular folklore.